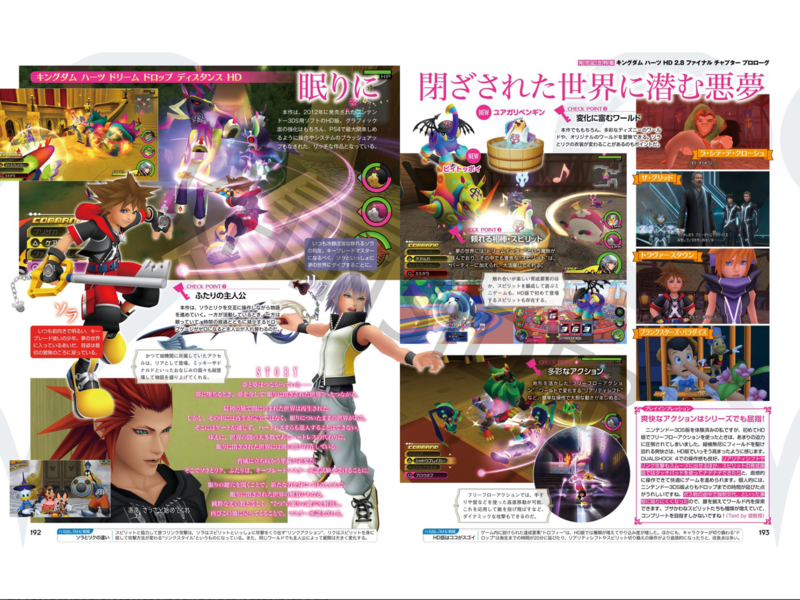 Kingdom Hearts HD II.8 Final Chapter Prologue is available in Japan right now, and as promised the latest edition of Famitsu has released alongside it. 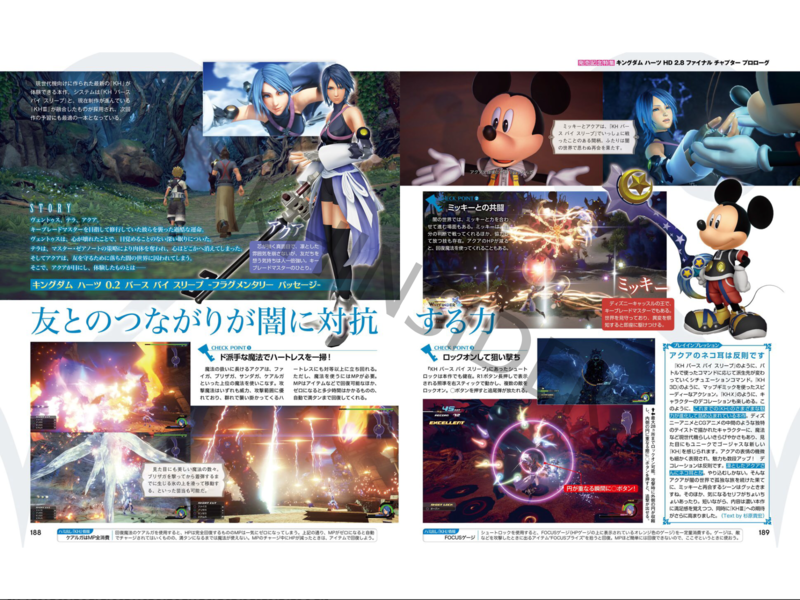 The coverage includes information about each game in the collection and ends with a lengthy interview with Series Creator Tetsuya Nomura. We are working on translations for the interview, but for now please enjoy viewing the scans of the magazine! 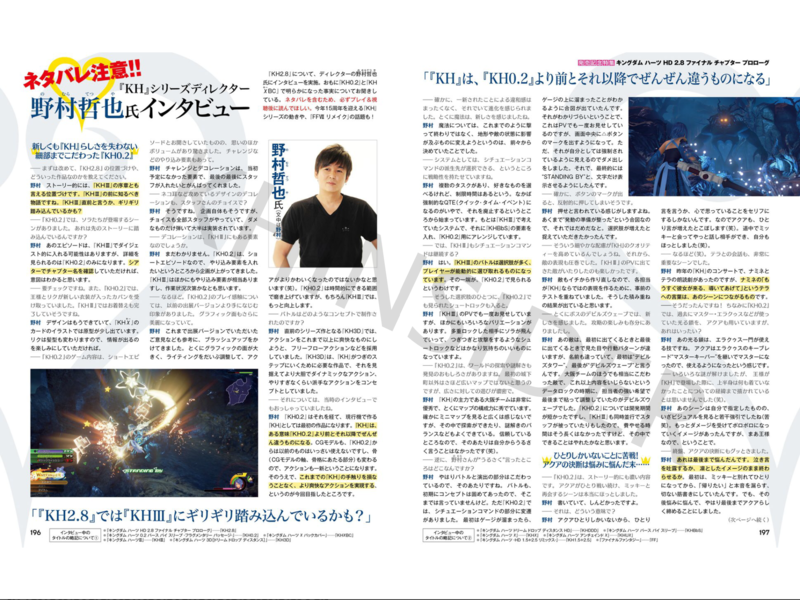 Operation "Interview Tetsuya Nomura regarding [KH2.8]" has been carried out. The main topics of our conversation with him revolve around the latest story developments in [KH0.2] and [KHXBC]. So to avoid spoilers, we urge you to definitely play the game and watch the cutscenes first! Being the 15 year anniversary of the Kingdom Hearts series this year, we also touch base about that, as well as about the FFVII Remake! 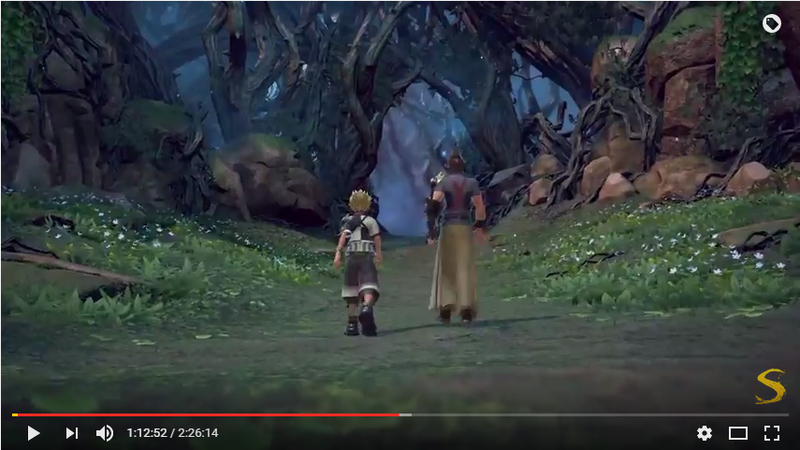 - In [KH0.2], there's a scene where Sora and friends make an appearance. Is this a scene that's crossed over into that domain? 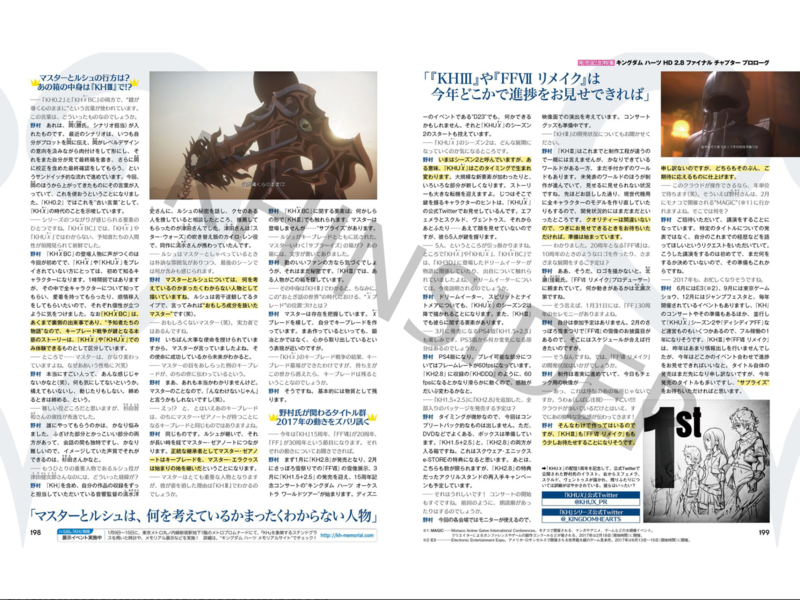 Nomura: We may put that episode into [KHIII] as a sort of digest, but the only place you will see it in fine detail is in [KH0.2]. If you check its chapter name in the Theatre Mode, you will understand its purpose. - In [KH0.2], exploring and solving the riddles of the worlds was incredibly fun. Apart from the first town on the outskirts of the castle, you can't say the areas were particularly small, but the content was especially rich considering their size! Nomura: This is because the leading force behind the [KH] games, the Osaka Team, never cease to show their prowess and excellence in dealing with the organisation of the world's areas. And certainly, looking at the mini-map, you don't really get a feeling of how large the areas actually are, where there's a perfect balance between mystery and exploration. This is an area of the team I trust wholeheartedly, so I didn't really pester them much about it (laughs). - Such considerate thoughts are what contribute and heighten the quality of [KH]. Additionally, the representation of enemies was also a highlight. The enemies seen in [KHIII]'s trailers made appearances which was exciting to see. Nomura: We also remade the enemy models from scratch. Each staff member responsible for the models did countless before-the-matter tests in order to present the enemies in the most [KH]-esque way. I think the fruits of their labour definitely shine through. I think this title is one the staff definitely grew quite fond of. - Especially the Devil's Wave boss, we really felt the determination put into it. We were able to enjoy the battle to our heart's content. Nomura: That boss, between the first time and last time you see it, its movement pattern and appearance changes, as does its name, first being the "Devil's Tower" and at last the "Devil's Wave". The Osaka team put particular effort in this enemy, so much so that even when reaching a time in development where we could no longer tamper with the contents of the game, called "Datalock", the staff in charge, with strong aspiration, pushed onward until the very last moments, constantly fine tuning it. [KH0.2]'s development time was short, so even staff working simultaneously on [KHIII] stepped in to help. Even so, the time devoted to it wasn't actually long and I think we did all we could with that time. - Oh so that's what it was!? By the way, Aqua was seen to use the chains of light that Master Eraqus once did... how? Nomura: Those shining chains are a special ability of Eraqus and his students. By becoming a Master, Aqua also became the successor to Eraqus' "Master Keeper", resulting in gaining the ability to use it also. Nomura: I was worried about that right to the end. Do I have her break down and complain? Or do I have her embrace the end with cold dignity? Initially, in an ending that would really pull the heartstrings, I was going to have her separate from Mickey, then have her cry out, unable to contain herself, that she just really wanted to go back home. Finally though, I thought it was probably best to end it in a way that was much more like Aqua. Nomura: In all my works, including [KH], Hiroshi Shimizu has always been in charge of supervising and controlling audio, as well as directing the compilation and editing. When I talked to him about the secrets behind Luxu, and consulted with him about who would suit to voice him, he was the one to recommend Tsuda-san. Tsuda-san has played “Shakespeare” in another game called “Rampage Land Rankers” and also provided the Japanese dub for the voice of Kylo Ren in Star Wars 7. - I should probably go and get Shimizu-san’s autograph then. When the Master and Luxu are talking with one another, while it feels like a very frank conversation, the end takes a turn with some hidden implications. Nomura: I’ve depicted both the Master and Luxu as people whom you will never be able to grasp what in the world they are actually thinking. Luxu is more of the philosophical type, and if I try to put words to it, you could say he’s like the Master, except he’s a bit boring because he lacks the interesting quirkiness. - A boring version of the Master! (laughs) He seems like quite an important and powerful person, however. Nomura: Well, he was tasked with the most important mission. The Master even said it himself. It’s all because of the success of that mission that he is able to peer into the future. - So the Keyblade that received the Master’s eye is being passed around in the world of the future then? - Huh!? But...That being said, the aforementioned Keyblade...It’s the same one that Master Xehanort holds in the future, right? Nomura: Yes, it’s the very same one. Succeeding from Luxu, it’s been passed through time and is now held by Master Xehanort. So it can be considered that Master Xehanort is the legitimate successor of that Keyblade, meanwhile Master Eraqus inherited control over the Land of Departure. - The Master appears to be quite the important character, will we find out the reason for his disappearance in [KHIII]? - So the box’s contents will be revealed in [KHIII]... By the way, in this world that can be considered to be during “the time period spoken about in fairytales”, what sort of position is the X-blade in? Nomura: The Master knows about its existence. Using the X-blade as a model, he creates his own Keyblades. Well, by create I don’t mean that in the physical sense, such as forging and tempering them, I mean more along the lines of pulling one out from the depths of a heart. —Okay. FFV has reached its 20th anniversary. For the 10th anniversary you made a logo; are there any developments in the works? 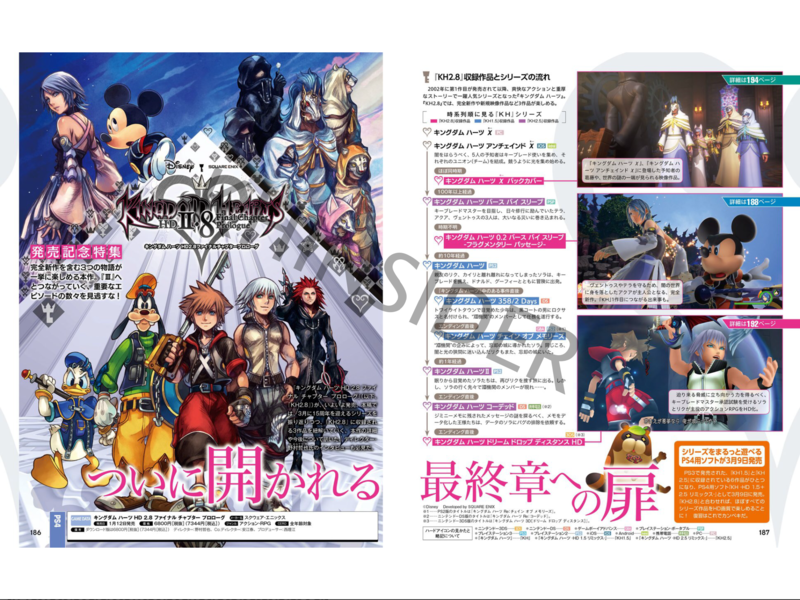 Re: Famitsu showcases Kingdom Hearts HD 2.8, Nomura interview released! There's still that shot with Ven having the "wrong" coloration of his jacket, lol. Is that actually fixed in 0.2 itself or is it still like that in-game? And dat Pen-Pen Dream Eater...just amazing and hilarious at the same time. I also totally dig the ornaments on the conference table of the Foretellers as well as Gula sitting again on the table instead of at it. Ah, and they just had to place that Unchained anniversary drawing with the yet another Ven-tease in it, lol. I wonder if Nomura in his usual vague style gives any further prospect on both Ven's and Maleficent's possible involvement with the x-era, nonetheless because it might become important for KH III down the line. Yep. They didn't fix it. Roflmao...either that or the extensive damage to his heart actually causes Ven to "remember" the coloration of his clothes wrong. It's of course also possible that this is a problem with Aqua's sight and consciousness since she is experiencing these visions. And since it all happens in the RoD, it might indeed be the Darkness playing some tricks. Or it is simply an texturing error they overlooked with the new model. One has to keep in mind that all character models used here are brand new. Has Ven the wrong coloration in the "coffin"-scene as well? Can't be entirely ruled out for the coffin scene because we merely see the lower half of Ven's upper body. Damn, there isn't at least one full shot when Aqua approaches it? You can't really count the opening as it most likely uses a different model I guess. And here I was thinking you spoke from spoiler experience, lol. I won't actually watch the japanese footage of either 0.2 or Back Cover, I can wait these two weeks (and use them to hopefully finally platinum BBS, just blasted Maleficent apart with Aqua), but I don't really care about spoilers so I read them all the same. Spoilers are a bit double-edged to me. Experiencing Birth by Sleep without any spoilers beforehand was just great back in 2010, no matter how awfully executed the game was. So I'm trying to keep away from spoilers since it's only a maximum of twelve days anyways. How does one change such short hair? Gladly looking forward to a better haircut though. I wonder if Kairi and Sora will get the same treatment as well. - I see. With [KH0.2], gameplay was even easier to handle, even more so than previous times we played it. The graphics have also become more beautiful. Nomura: We brushed them up according to the opinions and feedback we received from the demo versions. Especially for the graphics, we put a lot of work into fine tuning the lighting, where I couldn't help but think that Aqua had become quite cute, even more so than before (laughs). According to the time we had, we trid as much as possible to polish up [KH0.2], and we will continue to improve this for [KHIII]. Frankly, in some of the cutscenes (mainly towards the end), the character's faces are suddenly rigid for a second before going back into a more animated state. It looked jarring and weird to me. The hair textures still lack certain qualities and have almost nonexistent strands to imply the hair, as well, hair. However the lighting in the cutscenes were gorgeous, almost replicating that 2013 E3 trailer. Although I do wish they were a bit more adventurous in lighting (Sora running up the stairs with the black background looked terrifying to me when I first saw it). I'm nitpicking a bit though. Nomura: [KH0.2] is the first game to represent these concepts as a [KH] game created for current generation consoles. Therefore, in regards to those concepts, from [KH0.2] onward the [KH] series will change completely from what was seen before. Even for the CG models you see in [KH0.2], not a single model from prior was able to be used, so even the bones (A CG model's joints, which connect parts of the skeletal structure) have been completely changed, meaning all actions have been remodelled from the ground up also. Considering this, we aimed to create something that would not tamper with the regular feel you expect from a [KH] game, while also implementing those exhilarating actions previously described. This question seemed a little redundant to me. But, it's great that with the new models they added stunning animations to add a little more depth into the characters. Nomura: Yep. The plans as well as all the choices was all by the staff. There were some designs I had to decline, but mostly all of it was implemented into the game. - Will you also consider these decorations as a factor for [KH3]? Nomura: I'm still not sure. Since [KH0.2] is a short episode, the plan was to add them in to give some sort of additional content for replay value. As for [KH3], there is already plenty of other factors implemented for replayability, so it all depends on the state of development as time goes on. Nomura, Yasue, don't let your beloved staff work on a working function and not think about having it in KH3. Sora with cat ears. Sora with Mickey ears! [FONT=&quot]- Such considerate thoughts are what contribute and highten the quality of [KH]. Additionally, the representation of enemies was also a highlight. The enemies seen in [KHIII]'s trailers made appearances which was exciting to see. Nomura: We also remade [/FONT][FONT=&quot]the enemy models from scratch. Each staff member responsible for the models did countless before the matter tests in order to prevent the enemies in the most [KH]-esque way. I think the fruits of their labour definitely shine through. I think this title is one the staff grew quite fond of. -Especially the Devil'a Wave boss, we really felt the determination put into it. We were able to enjoy the battle to our heart's content. 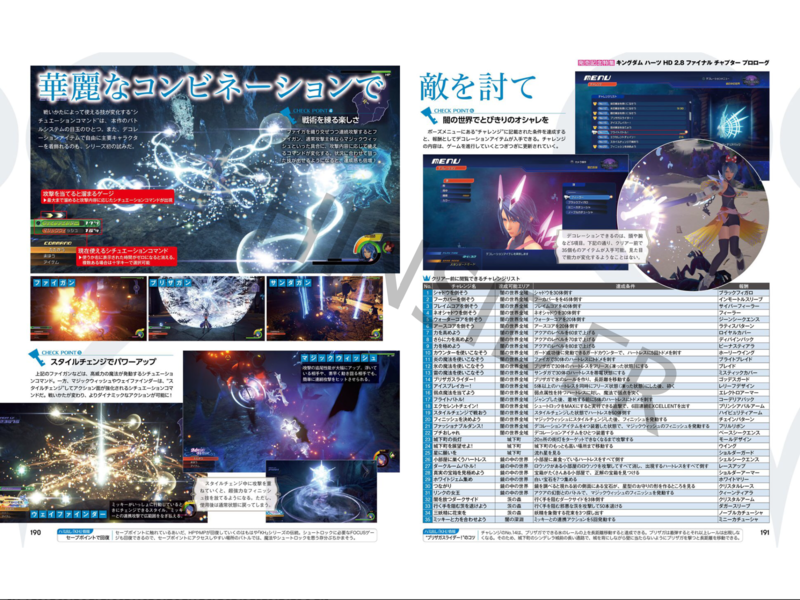 Nomura: That boss, between the first time and last time you see it, its movement pattern and appearance changes, as does its name, first being the "Devil's Tower" and at last the "Devil's Wave". The Osaka team put particular effort in this enemy, so much so that even when reaching a time in development where we could no longer tamper with the contents of the game, called "Datalock", the staff in charge, with strong aspiration, pushed until the very last moments, constantly fine tuning it. [KH0.2]'s development time was short, so even staff working simultaneously on [KHIII] stepped in to help, so the time devoted to it wasn't actually long but, I think we did all we could with the time we had. -In [KH0.2]'s opening, Utada Hikaru's "Hikari -Ray of Hope MIX-" played in the background and left such an impression on us. We were so happy. 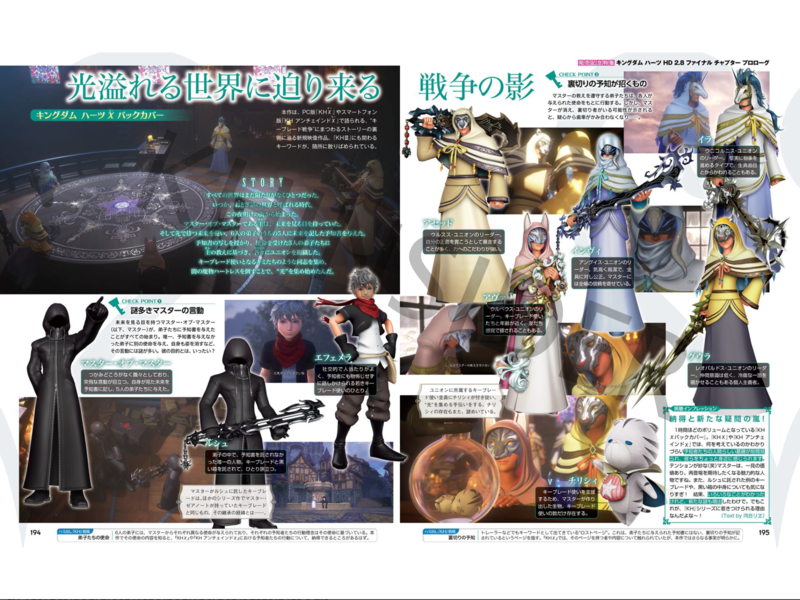 Nomura: We are always approaching Utada-San, and this time the timing was good. Most of all, I think that the constant heartfelt shouts from fans all over the world had a big impact on this also. 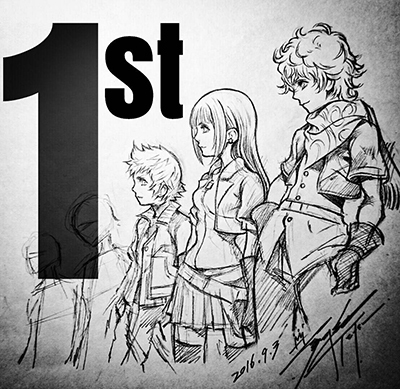 Nomura: At last year's concert, a scene was vocally presented between Terra and Namine in front of the audience. Namine says "Soon, she will come and I need you to guide her when she does" to Terra. This is connected to the scene you mentioned. Nomura: Those shining chains are a special ability of Eraqus and his pupils. By becoming Master, Aqua is the successor to Eraqus' "Master Keeper", so she also becomes able to use it. Nomura: I was worried about that right to the end. Do I have her break down and complain? Or do I have embracing the end with cold dignity? Initially, in an ending that would really pull the heartstrings, I was going to have her separate from Mickey, then have her cry out, unable to contain herself, that she just really wanted to go back home. Finally though, I thought it was probably best to end it in a way that was much more like Aqua. -In both [KH0.2] and [KHxBC], the phrase "May our hearts be our guiding key" came up. What does it mean? Nomura: That's something Oka (Masaru, scenario planner) put in. In terms of scenario, first I tell Oka of the general plot, Oka then comes up with ideas for level design while also working on some initial modelling which gives that design some initial shape. I take a look at this and write a final manuscript, handing I think back to Oka to give it one more proofread in order to verify it. Our process works in a sort of "sandwich" style, and even if the scenario writer changes, the process remains the same. So during the process this time, Oka thought to add the phrase because it seemed likely to be a simple phrase that an experienced and knowledgable Keyblade Wielder would say, so we added it in. In [KH0.2], it appears as an "ancient phrase" which gives a nod to the events that occurred in the era of [KHx]. In [KHxBC], we catch a glimpse at each of the Foretellers' very relateable humanity, which wasn't evident in [KHx] or in [KHUx] and it felt fresh. Nomura: It's the first time hearing the voices of those that appear in [KHxBC], and for the people that haven't played [KHx] or [KHUx], then this is also the first time ever meeting them. Being a bit short of an hour, during this restricted time, I had to be careful to display each of their individualalities, and make the player feel a sense of attachment and empathy for them. Now, it should be noted that's [KHxBC] is a story about the Foretellers and the events that occurred behind the scenes, so for parts of the story which are important and connected to the main story, including the Keyblade War, I have separated the story telling of that into [KHx] and [KHUx], which can only be experienced by playing them. Nomura: Well for someone that powerful, I though that only that sort of personality would feel right... (laughs). I guess you could say that he doesn't seem to care about anything. He doesn't get annoyed, he doesn't scheme but when he's serious, he's serious. I agree that Sugita is amazing in this. You just put everything together in one place with the remixes and then you pull something like that? If the "important parts connected to the main story" can only be experienced by playing Browser-chi (which is Japan-exclusive and by now dead) and Unchained X, what's the friggin' point of Back Cover beyond fleshing the Foretellers out as characters? I'd argue that the parts connected to the main story are actually those most of the fandom would be interested in and yet this reeks of another case of bad presentation and scattering some puzzle pieces on different soil so it becomes generally harder to make sense of things. He doesn't get annoyed, he doesn't scheme but when he's serious, he's serious. I really liked hearing this. There's just something about joke/chill chars getting serious that's always cool to see. I hope he does appear at some point in KH3 and we actually get to fight him when he's actually serious. Nomura: In all my works, including [KH], Hiroshi Shimizu has always been in charge of supervising and controlling audio, as well as directing the compilation and editing. When I talked to him about the secrets behind Luxu, and consulted with him about who would suit to voice him, he was the one to recommend Tsuda-san. Tsuda-san has played â€œShakespeareâ€ in another game called â€œRampage Land Rankersâ€ and also provided the Japanese dub for the voice of Kylo Ren in Star Wars 7. - I should probably go and get Shimizu-sanâ€™s autograph then. When the Master and Luxu are talking with one another, while it feels like a very frank conversation, the end takes a turn with some hidden implications. Nomura: Iâ€™ve depicted both the Master and Luxu as people whom you will never be able to grasp what in the world they are actually thinking. Luxu is more of the philosophical type, and if I try to put words to it, you could say heâ€™s like the Master, except heâ€™s a bit boring because he lacks the interesting quirkiness. Nomura: Well, he was tasked with the most important mission. The Master even said it himself. Itâ€™s all because of the success of that mission that he is able to peer into the future. - So the Keyblade that received the Masterâ€™s eye is being passed around in the world of the future then? - Huh!? But...That being said, the aforementioned Keyblade...Itâ€™s the same one that Master Xehanort holds in the future, right? Nomura: Yes, itâ€™s the very same one. Succeeding from Luxu, itâ€™s been passed through time and is now held by Master Xehanort. So it can be considered that Master Xehanort is the legitimate successor of that Keyblade, meanwhile Master Eraqus inherited control over the Land of Departure. [FONT=&quot]- So the boxâ€™s contents will be revealed in [KHIII]... By the way, in this world that can be considered to be during â€œthe time period spoken about in fairytalesâ€, what sort of position is the X-blade in? Nomura: The Master knows about its existence. Using the X-blade as a model, he creates his own Keyblades. Well, by create I donâ€™t mean that in the physical sense, such as forging and tempering them, I mean more along the lines of pulling one out from the depths of a heart.